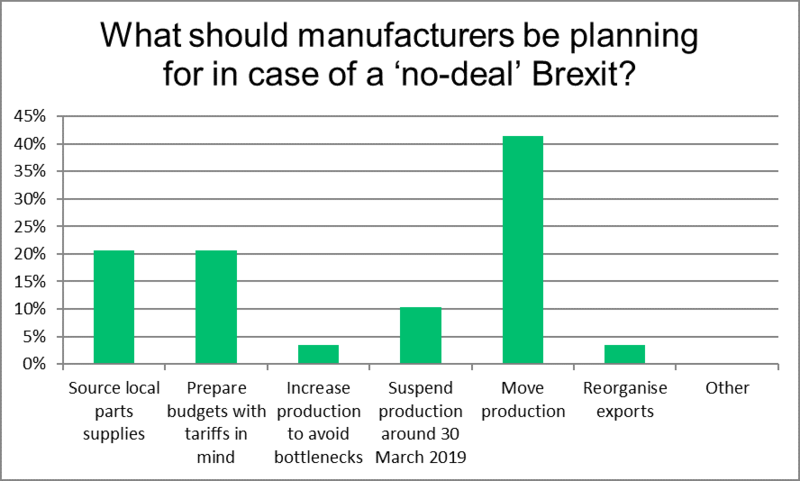 Autovista Group Survey results: What should manufacturers be planning for in case of a ‘no-deal’ Brexit? Similar action has already been taken by vacuum cleaner manufacturer Dyson, which has relocated its head office to Singapore where it will be building its new range of electric cars. While the move was said to be in the interests of ‘future proofing’, the manufacturer’s timing is curious – especially considering James Dyson’s pro-Brexit standpoint prior to the referendum in 2016.